Found one file extension association related to StatCalc and 1 file format developed specifically for use with StatCalc. 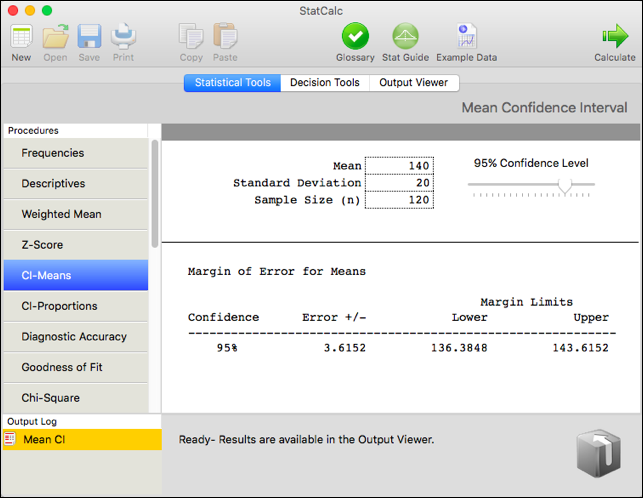 StatCalc provides 12 summary measure analyses and allows easy data entry for descriptive statistics and bivariate correlation. AcaStat Basic and AcaStat Plus provide 13 statistical procedures for raw data. AcaStat Basic was created for those who don't require instructional aids or greater file and output manipulation capabilities. AcaStat Plus is our most popular download and it includes several additional features especially useful for academic instruction. If you need more information please contact the developers of StatCalc (AcaStat Software), or check out their product website.